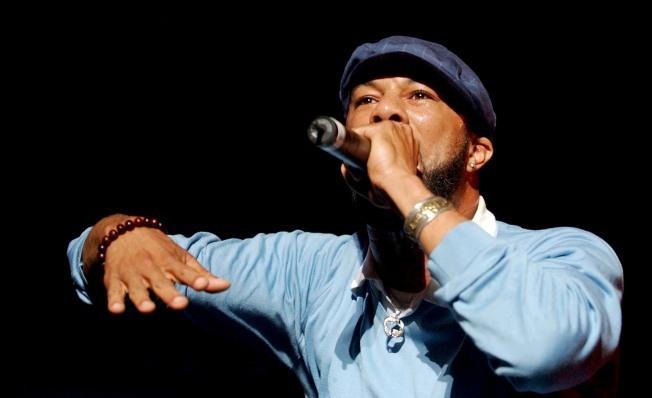 Rap hip-hop artist Lonnie Rashied Lynn, also known as Common, will play the Fox Theatre in Oakland on Sunday. The man originally known as Common Sense is one of the most powerful artists going in hip hop today and he is coming to the Bay Area to spread his lyrical goodness. The Chicago native and the son of minister will bring his conscious, self reflective hip hop to the Fox Theatre in Oakland on Sunday at 8 p.m.
Common was a highly influential figure in rap's underground during the 90s, keeping the sophisticated lyrical technique and flowing syncopations of jazz-rap alive in an era when commercial gangsta rap was threatening to obliterate everything in its path. His literate, intelligent, nimbly performed rhymes and political consciousness certainly didn't fit the fashions of the moment, but he was able to win a devoted cult audience. His song "Retrospect for Life," with Lauryn Hill, won him critical acclaim for the autobiographical lyrics discussing his decision to abort his baby. "I'm sorry for takin your first breath, first step, and first cry," he sings. "But I wasn't prepared mentally nor financially. Havin a child shouldn't have to bring out the man in me. Plus I wanted you to be raised within a family. I don't wanna, go through the drama of havin a baby's momma. Weekend visits and buyin J's ain't gon' make me a father." While the show is sold out, tickets are still available through Craiglist and Stub Hub for anywhere from $70 to $350 a seat.